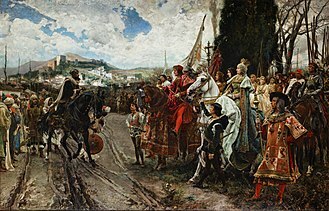 Furor Teutonicus ("Teutonic Fury") is a Latin phrase referring to the proverbial ferocity of the Teutones, or more generally the Germanic tribes of the Roman Empire period. The original expression is generally attributed to the Roman poet Lucan (d. AD 65). It occurs for the first time in his work Bellum civile/Pharsalia. 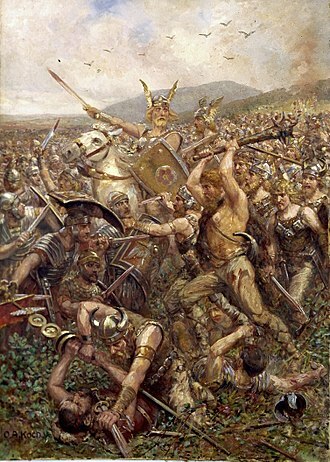 Lucan used the term to describe what he believed to be the outstanding characteristic of the Germanic tribe called the Teutones: a mad, merciless, berserk rage in battle. 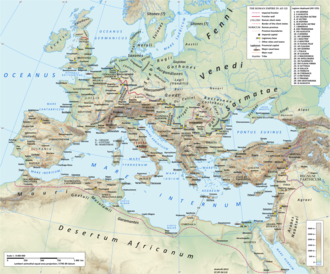 The Teutons met with the armies of the Roman Republic in the Eastern Alps around 113 BC. 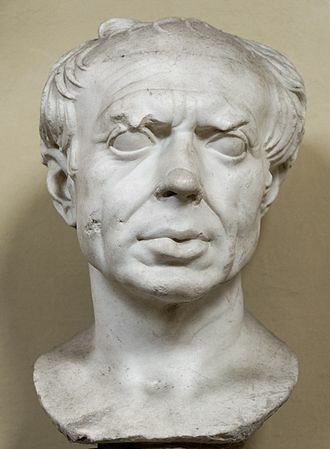 The Romans, under the command of the Consul Gnaeus Papirius Carbo, tried to lure the tribe into a trap, but they underestimated their military potential and lost the Battle of Noreia. 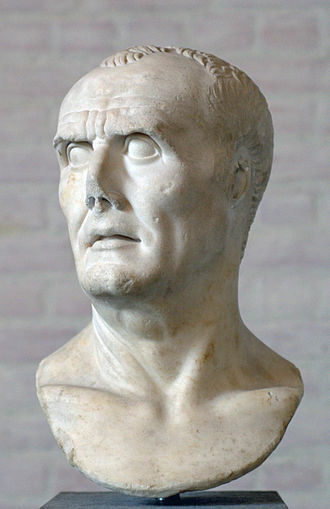 The Romans also lost the Battle of Arausio (105 BC) and other lesser battles, before putting Gaius Marius in charge of their defence. The Teutons were ultimately defeated in 102 BC. ^ Lucanus, Pharsalia 1.255-256: vidimus - - cursumque furoris | Teutonici. The Bastarnae were an ancient people who between 200 BC and 300 AD inhabited the region between the Carpathian mountains and the river Dnieper, to the north and east of ancient Dacia. The Peucini, denoted a branch of the Bastarnae by Greco-Roman writers, the ethno-linguistic affiliation of the Bastarnae was probably Germanic, which is supported by ancient historians and modern archeology. 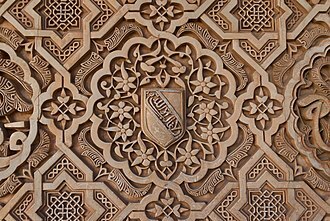 However, some ancient literary sources imply Celtic or Scytho-Sarmatian influences, the most likely scenario is that they were originally a group of East Germanic tribes, originally resident in the lower Vistula river valley. In ca.200 BC, these tribes migrated, possibly accompanied by some Celtic elements, some elements appear to have become assimilated, to some extent, by the surrounding Sarmatians by the 3rd century. Although largely sedentary, some elements may have adopted a semi-nomadic lifestyle and it has not, so far, been possible to identify archaeological sites which can be conclusively attributed to the Bastarnae. The archaeological horizons most often associated by scholars with the Bastarnae are the Zarubintsy, the Bastarnae first came into conflict with the Romans during the 1st century BC, when, in alliance with Dacians and Sarmatians, they unsuccessfully resisted Roman expansion into Moesia and Pannonia. Later, they appear to have maintained relations with the Roman empire during the first two centuries AD. 180, when the Bastarnae are recorded as participants in an invasion of Roman territory, in the mid-3rd century, the Bastarnae were part of a Gothic-led grand coalition of lower Danube tribes that repeatedly invaded the Balkan provinces of the Roman empire. Large numbers of Bastarnae were resettled within the Roman empire in the late 3rd century, the origin of the tribal name is uncertain. It is not even whether it was an exonym or an endonym. 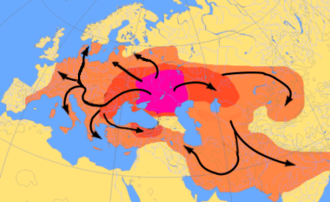 One possible derivation is from the proto-Germanic word *bastjan means binding or tie, in this case, Bastarnae may have had the original meaning of a coalition or bund of tribes. The poems title is a reference to the Battle of Pharsalus, which occurred in 48 BC, near Pharsalus, Thessaly, in northern Greece. 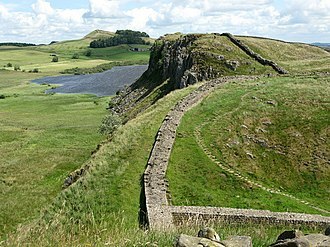 Caesar decisively defeated Pompey in this battle, which all of the epics seventh book. The poem was begun around 61 AD and several books were in circulation before the Emperor Nero, a total of ten books were written and all survive, the tenth book breaks off abruptly with Caesar in Egypt. Despite an urgent plea from the Spirit of Rome to lay down his arms, Caesar crosses the Rubicon, rallies his troops and marches south to Rome, the book closes with panic in the city, terrible portents and visions of the disaster to come. Book 2, In a city overcome by despair, an old veteran presents a lengthy interlude regarding the civil war that pitted Marius against Sulla. Cato is introduced as a man of principle, as abhorrent as civil war is. 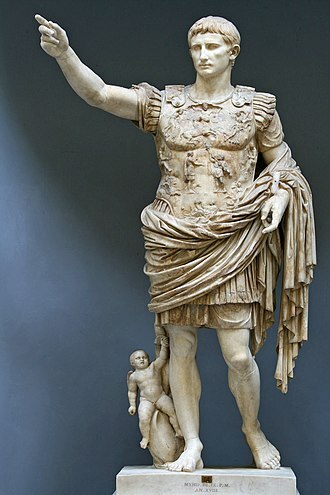 After siding with Pompey—the lesser of two evils—he remarries his ex-wife and heads to the field, Caesar continues south through Italy and is delayed by Domitius brave resistance. He attempts a blockade of Pompey at Brundisium, but the general makes an escape to Greece. Book 3, As his ships sail, Pompey is visited in a dream by Julia, his dead wife, Caesar returns to Rome and plunders the city, while Pompey reviews potential foreign allies. 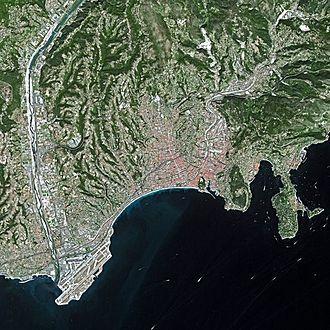 Caesar heads for Spain, but his troops are detained at the siege of Massilia. The city ultimately falls in a naval battle. Book 4, The first half of book is occupied with Caesars victorious campaign in Spain against Afranius and Petreius. Switching scenes to Pompey, his forces intercept a raft carrying Caesarians, the book concludes with Curio launching an African campaign on Caesars behalf, where he is defeated and slain by the African King Juba. Book 5, The Senate in exile confirms Pompey the true leader of Rome, appius consults the Delphic oracle to learn of his fate in the war, and leaves with a misleading prophecy. In Italy, after defusing a mutiny, Caesar marches to Brundisium, only a portion of Caesars troops complete the crossing when a storm prevents further transit, he tries to personally send a message back but is himself nearly drowned. The Chattuarii or Attoarii were a Germanic tribe of the Franks. This implies that the Chattuari lived somewhere in the west of Westphalia, strabo mentions the Chattuari as one of the non-nomadic northern Germanic tribes who were made poor after being defeated by Germanicus. 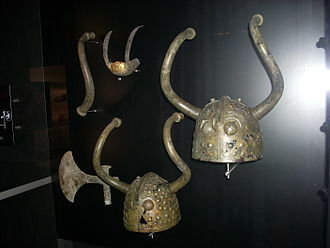 They apparently appeared at his triumph in 17 AD, the Chattuari appear again in the historical record in the 4th century, living on the Rhine amongst the first tribes to be known as Franks. Some of them were settled in France pagus attuariorum south of Langres in the 3rd century. Under the Franks, the name of the Chattuari was used for what became two early medieval gaus on either side of the ride, north of the Ripuarian Franks, whose capital was in Cologne. The eastern side, they were near the Ruhr river, and across the Rhine they settled near the Niers river and this western gau is mentioned in the Treaty of Meerssen, in the year 870 AD. The Chattuarii may appear in the poem Beowulf as Hetwaras where they appear to form a league together with the Hugas, the Geats are defeated and their king Hygelac is killed, Beowulf alone escaping. Prehistoric Europe is the designation for the period of human presence in Europe before the start of recorded history, beginning in the Lower Paleolithic. As history progresses, considerable regional irregularities of cultural development emerge, the Histories of Herodotus is the oldest known European text that seeks to systematically record traditions, public affairs and notable events. In contrast, the European regions furthest away from the ancient centers of civilisation tended to be the slowest, in Northern and Eastern Europe in particular and systematic recording was only introduced in the context of Christianization, after 1000 CE. The karstic region of the Atapuerca Mountains in Spain represents the currently earliest known and reliably dated location of residence for more than a single generation and a group of individuals. 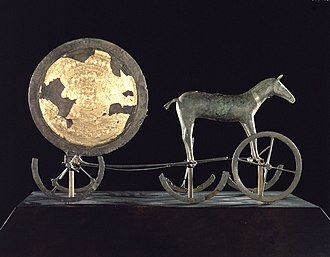 Latin and ancient Greek language continued to be the primary and best way to communicate and express ideas in Liberal arts education, the climatic record of the Paleolithic is characterized by the Pleistocene pattern of cyclic warmer and colder periods, including eight major cycles and numerous shorter episodes. The northern maximum of human occupation fluctuated in response to changing conditions and successful settlement required constant adaption capabilities. Most of Scandinavia, the North European Plain and Russia remained off limits for occupation during the Paleolithic and Mesolithic, associated evidence, such as stone tools and settlement localities is more numerous than fossilized remains of the hominin occupants themselves. The simplest pebble tools with a few flakes struck off to create an edge were found in Dmanisi, Georgia and in Spain at sites in the Guadix-Baza basin and near Atapuerca. Both types of sets are attributed to Homo erectus, the earliest and for a very long time the only human in Europe. However, the Acheulean fossil record links to the emergence of Homo heidelbergensis, Homo heidelbergensis presence is documented since 600,000 BP in numerous sites in Germany, Great Britain and northern France. Palaeoanthropologists generally agree that Homo erectus and Homo heidelbergensis have immigrated into Europe, debated remain migration routes, consensus prevails on this matter, widely debated are origin and evolution patterns. The Pharsalia was especially popular in times of civil wars and similar troubles; for example the editor of this 1592 edition, Theodor Pulmann, explains Lucan’s relevance by the French Wars of Religion (1562–98). 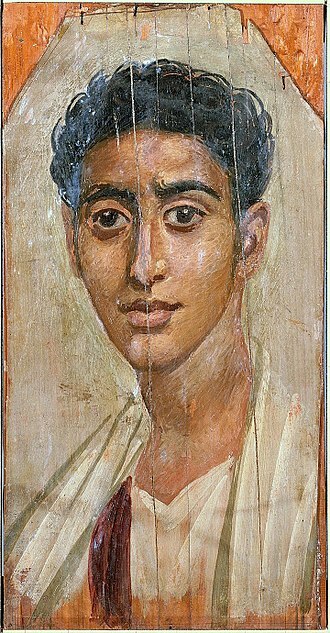 Susanna Braund argues that, were the poem to have been finished, it would have ended with Cato's death. The base of the Confederate Memorial at Arlington National Cemetery in the United States, which is inscribed with Lucan's line, Victrix causa deis placuit sed victa Catoni. 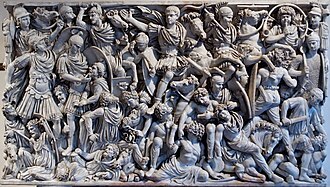 Roman relief panel on the Ludovisi Battle sarcophagus depicting a battle between Goths and Romans, circa 260. King Frederick William I of Prussia, the "Soldier-King", first named the Prussian virtues (which were supposedly present since the State of the Teutonic Order). Painting by Antoine Pesne, about 1733.